You are currently viewing Archived reports for the week of 27 April-3 May 2016. 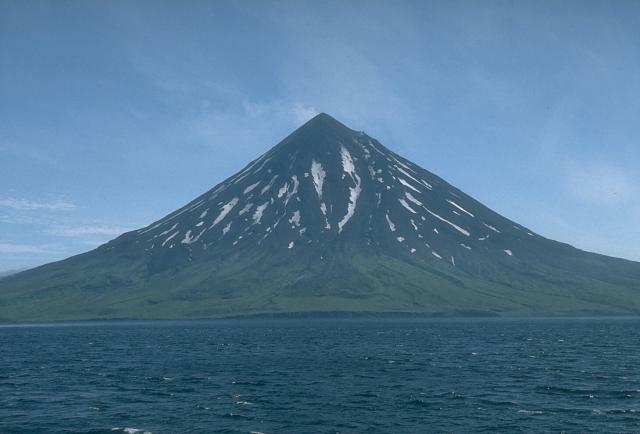 KVERT reported that a Strombolian eruption at Klyuchevskoy continued during 21-29 April. 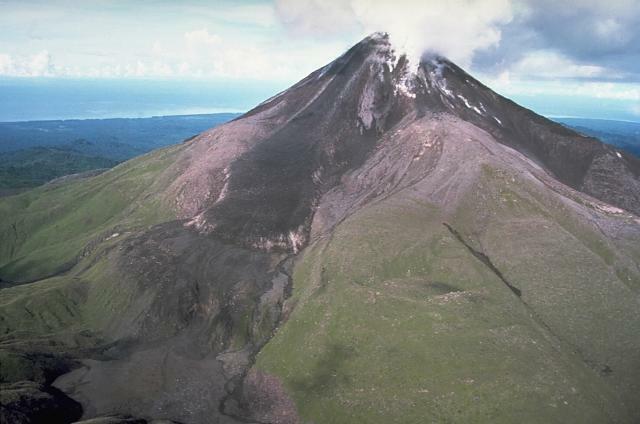 Satellite and video data showed a lava flow effusing on the SE flank, moving down the Apakhonchich drainage. Satellite images showed an intense thermal anomaly over the volcano, and an ash cloud that drifted about 500 km SW during 23-24 April. The Aviation Color Code was raised to Orange. 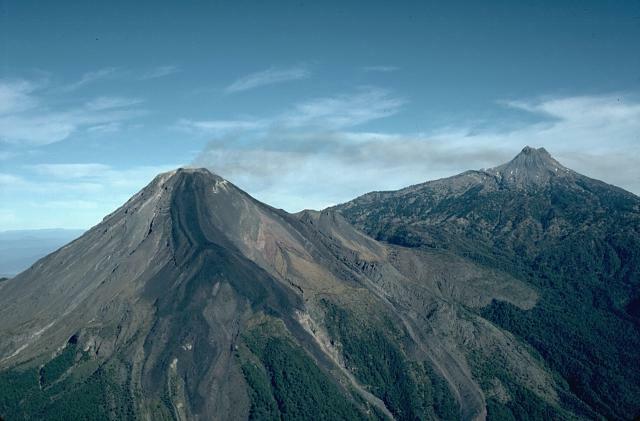 INSIVUMEH reported in a special notice posted on 2 May that strong explosive activity continued at Caliente cone, part of Santa María's Santiaguito lava-dome complex. 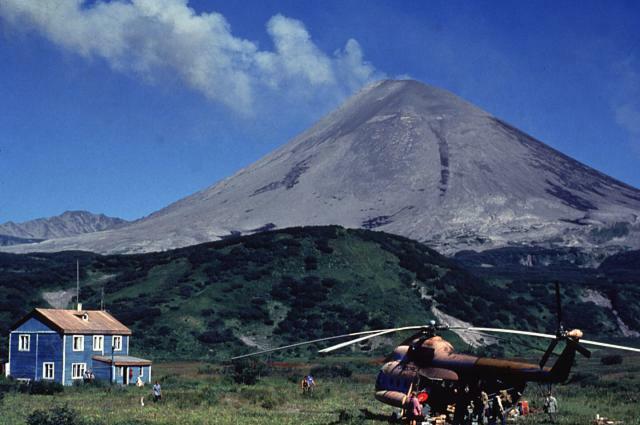 Two pyroclastic flows, generated by strong explosions the previous day, traveled down E and W drainages. 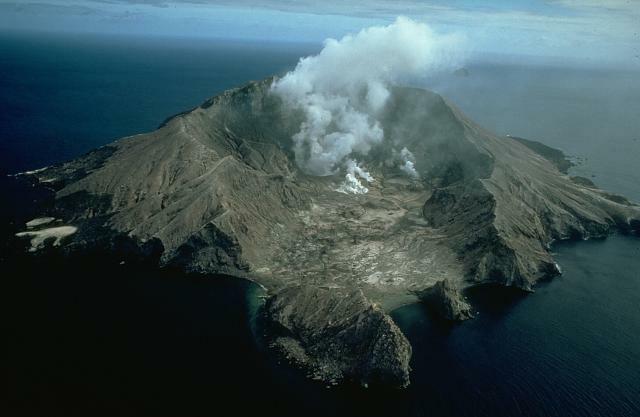 Collapses of the E and W edges of the crater generated a mushroom-shaped ash cloud that rose 7.6 km and drifted 40 km W and SW.
GeoNet reported that an eruption at White Island at 2150 on 27 April was inferred by a combination of data that included the seismic network and a MetService rain radar image. 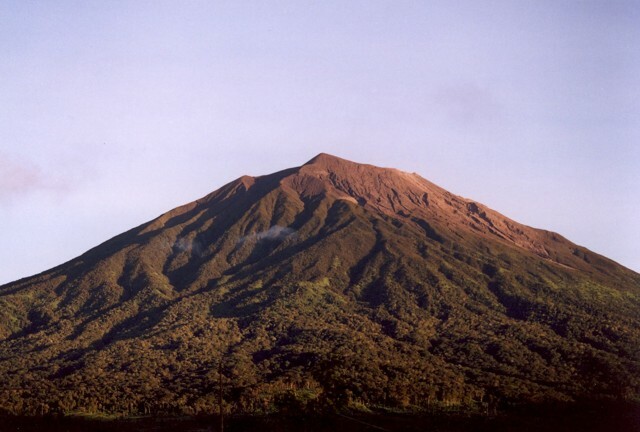 The Volcanic Alert Level was raised from 1 to 3 (Minor Volcanic Eruption) and the Aviation Colour Code was raised from Green to Orange. Seismicity returned to normal levels shortly afterwards. 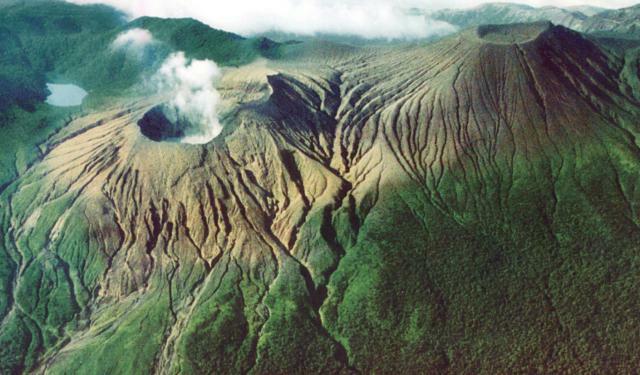 During an overflight the next day volcanologists noted that ash deposits covered about 80% of the floor of Main Crater and continued up the N and S parts of the crater walls. Ash deposits were about 5 mm thick in areas 500 m away from the eruption site. Seismicity remained low and gas emission levels were similar to those measured prior to the event. 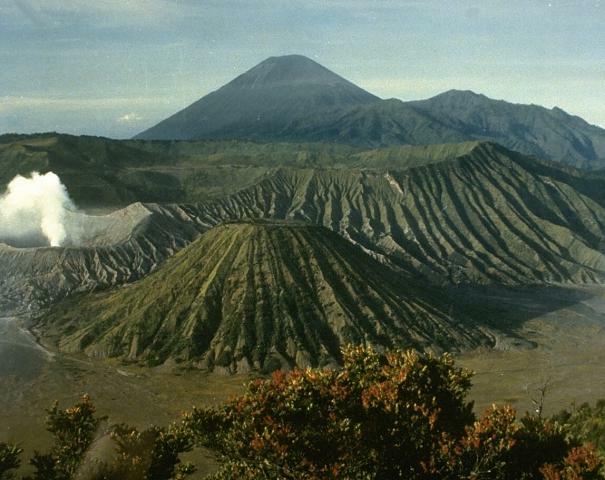 The Volcanic Alert Level was lowered to 2. 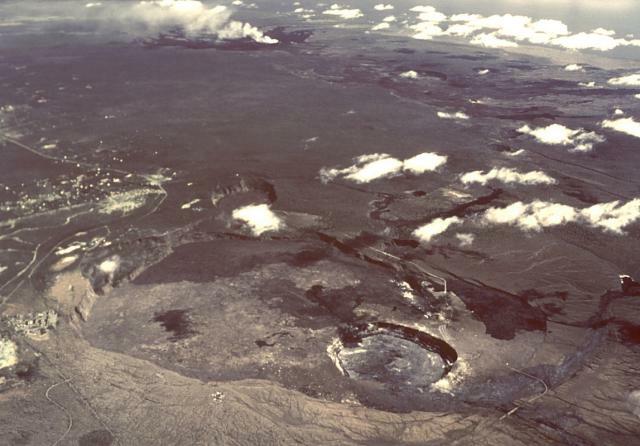 During an aerial inspection of the area on 29 April, volcanologists observed a new crater in the NE corner of the 1978/90 Crater Complex. Gas output was slightly elevated but within the range of measurements of long-term gas output. Analysis of the eruption deposits showed that no new lava was ejected, and was instead old strongly hydrothermally altered rock material. On 2 May the Aviation Colour Code was lowered to Yellow. 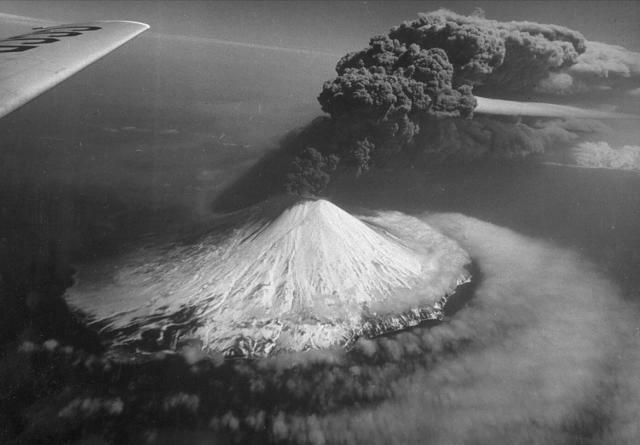 Based on analyses of satellite imagery and model data, the Darwin VAAC reported that during 27 April-3 May ash plumes from Bagana rose to an altitude of 2.1 km (7,000 ft) a.s.l. and drifted 45-100 km SW, W, and NW. On 29 April, AVO reported that no activity had been detected at Cleveland following the 16 April explosion; seismicity had returned to low levels within an hour of the event and no infrasound (pressure sensor) signals had been detected. Recent satellite images indicated that the August 2015 lava dome was gone and had been replaced with a small cinder cone within the summit crater. The Level of Concern Color Code was lowered to Yellow and the Volcano Alert Level was lowered to Advisory. 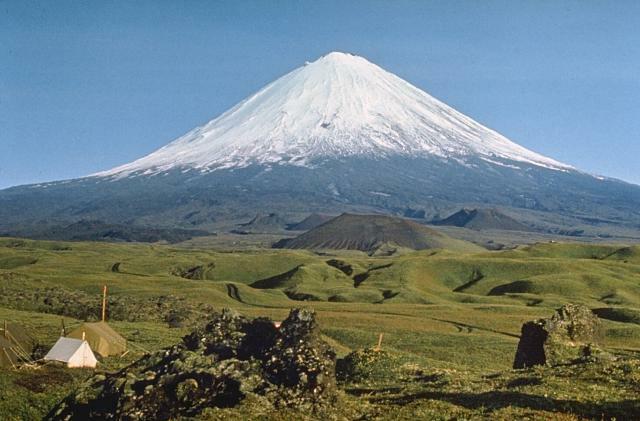 On 28 April KVERT reported that satellite images over Karymsky showed either cloud cover or quiet conditions at the volcano during March-April. Moderate gas-and-steam emissions continued. The Aviation Color Code was lowered to Yellow. 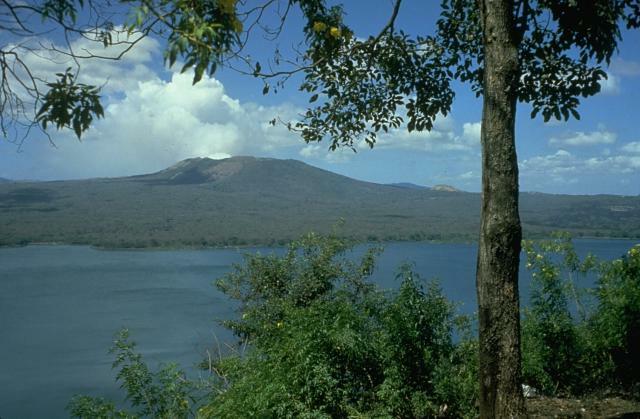 HVO reported that seismicity beneath Kilauea's summit, upper East Rift Zone, and Southwest Rift Zone was at background levels during 27 April-3 May. The lava lake continued to circulate and eject spatter in the Overlook vent. Webcams recorded outgassing from multiple spatter cones on the Pu'u 'O'o Crater floor. A small lava flow from the E vent flowed onto the crater floor during 28 April-1 May. The June 27th NE-trending lava flow continued to be active within 5.7 km NE of Pu'u 'O'o Crater. 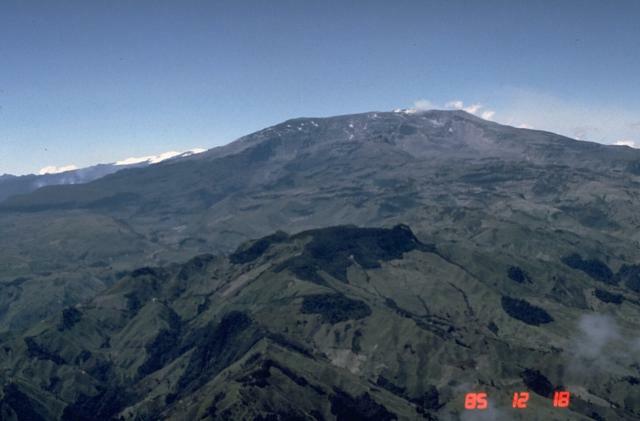 Based on a SGC notice, the Washington VAAC reported that on 2 May an ash emission from Nevado del Ruiz rose to an altitude of 7 km (23,000 ft) a.s.l. and drifted NW. 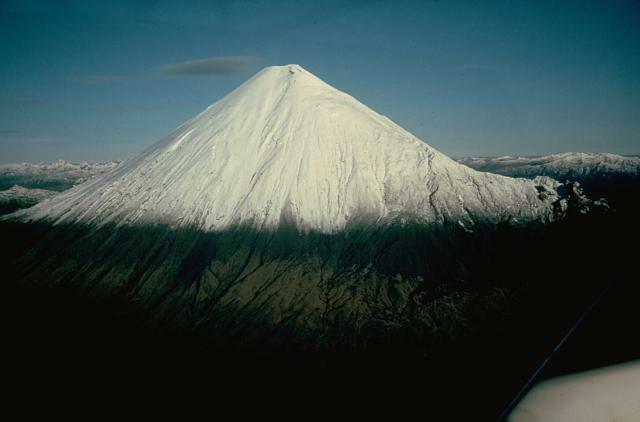 KVERT reported that during 21-29 April lava-dome extrusion onto Sheveluch’s N flank was accompanied by strong fumarolic activity, dome incandescence, ash explosions, and hot avalanches. Satellite images showed an intense daily thermal anomaly over the dome. The Aviation Color Code remained at Orange. 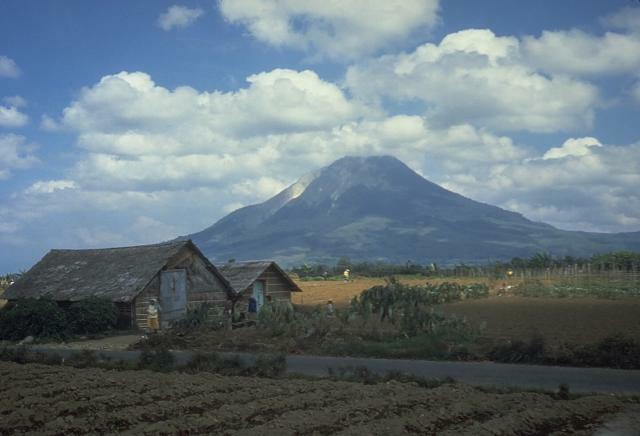 Based on satellite images and information from PVMBG, the Darwin VAAC reported that during 28-30 April and 4 May ash plumes from Sinabung rose to altitudes of 3.6-4.2 km (12,000-14,000 ft) a.s.l. and drifted W and WSW. 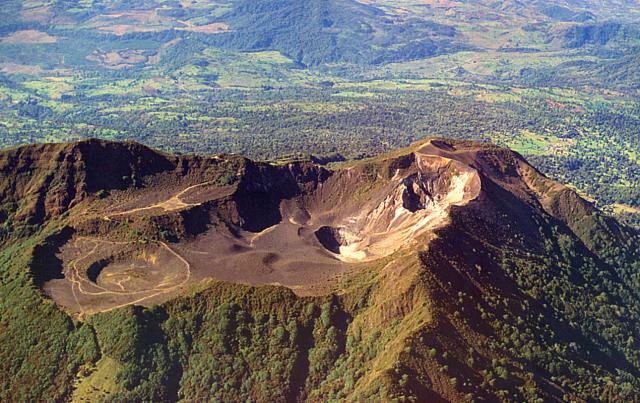 OVSICORI-UNA reported that at about 0530 on 28 April seismicity at Turrialba increased, though gas-and-steam emissions continued at normal levels. At 0300 on 30 April passive ash emissions began and rose over 500 m above West Crater. Continuous variable amplitude tremor and frequent small explosions were recorded during 30 April-1 May. 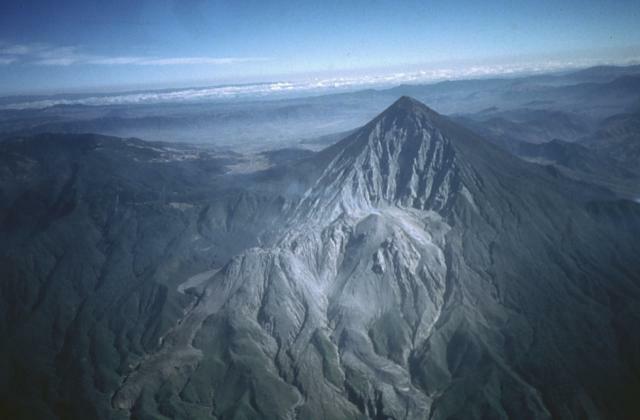 At 0630 on 1 May residents in Santa Cruz de Turrialba (8 km SSE) reported hearing sounds from the volcano resembling a turbine. 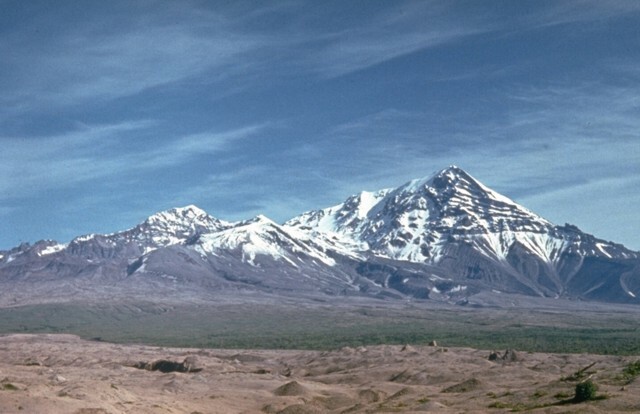 At the same time the seismic network recorded an increase in the amplitude of tremor, associated with an increase in gas and tephra emissions. Minor amounts of ash fell in La Central (4 km SW) and La Pastora. On 2 May frequent small explosions and sustained seismic tremor with significantly variable amplitude were recorded. Ash-and-gas emissions rose 500 m above the crater and drifted W, though periodically plumes with higher volumes of ash rose just over 1 km. Based on a news report, there were more than 200 explosions recorded during 29 April-2 May; an explosion at around 0600 on 2 May produced an ash plume that rose 2 km high. Seismic amplitude began decreasing during 0300-0700 on 3 May. Frequent explosions continued to produce ash plumes that rose as high as 1 km and drifted mainly N. Most tephra-fall occurred around West and Central craters.